SeaWorld Orlando Summer Nights Series is being featured this summer for guests to enjoy. From June 20-August 9, guests can stay at the parks longer for more thrills and entertainment. Guests will have the option of riding ride their favorite roller coasters under the night time sky, or enjoying the Sea Lion High comedy show full of laughs and fun for the whole family. Even more the Shamu’s Celebration: Light Up At Night show will have special performances, where you, family and friends can enjoy original music and production along with SeaWorld’s favorite and lovable killer whales. Each night SeaWorld Orlando Summer Nights Series will have a firework show for everyone to enjoy as well. The Weekend Treat,every Saturday and Sunday, guests will have the opportunity to enjoy performances from a variety of artists and different genres. Concerts will be held in the Nautilus Theater and are included with regular park admission making it a great value.Every Saturday and Sunday guests can enjoy all-American performances by a variety of artists and genres at this all-new summer concert series. The celebration of America continues throughout the park with all-American food and daily happy hours. Guests can take advantage of our Reserved Concert Seating Package for all artists throughout the summer series. Starting at $29, the package includes one reserved seat to the concert plus a meal voucher valid at most in-park restaurant locations. Package inventory is limited. Reserved seating packages can be booked in advance online or at the park on the day of the concert. 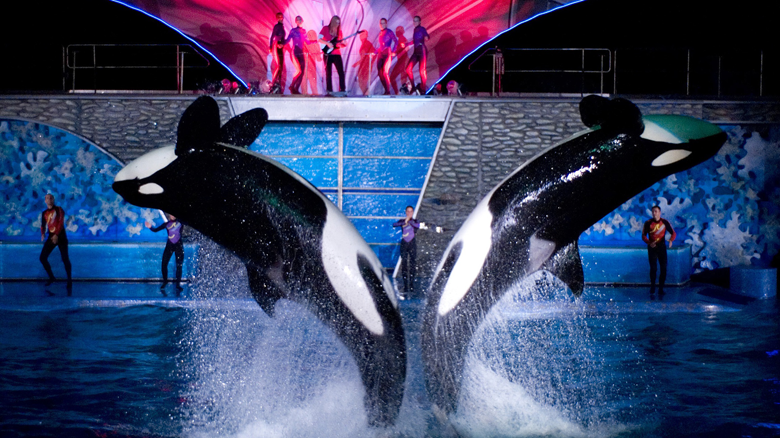 Be sure to buy your discount SeaWorld Orlando tickets in advance at www.knowbeforeUgo.com or call us at 1-800-749-1993. When visiting Orlando you can also visit us at our world famous Welcome Center located at 8000 International Drive,Orlando, Florida to pick up your FREE area and state maps and discount coupons to restaurants and local shopping . Be sure to visit knowbeforeUgo.com for all the latest news and updates.